In the Fall of 2014, a small group of photographers from the United States, Ireland, and Australia gathered in India to dive head-first into the unknown and explore the colorful country through hands-on, culture-to-culture interaction, and, of course, to experience a new place through the eyes of our cameras. The vision for this trip was a collaboration between Photo Field Trip and Elephant Landing . We started our journey as observers and photojournalists, but ended our travels totally inspired and motivated to make a difference. 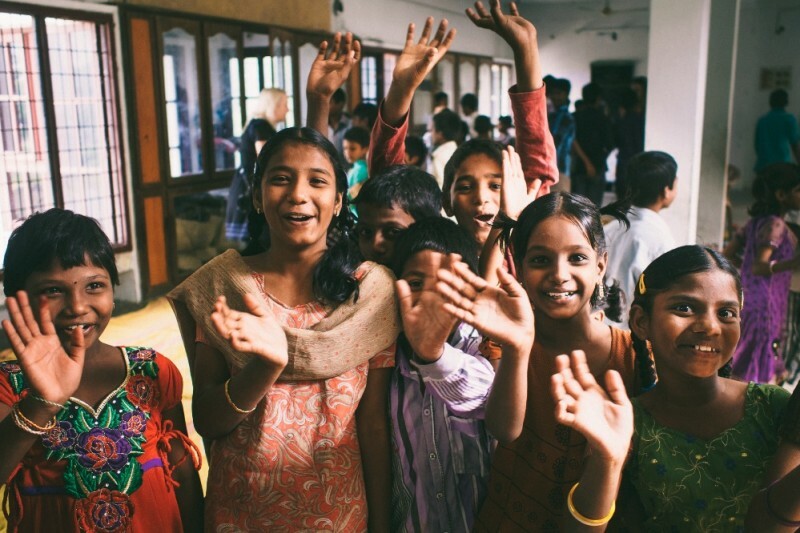 Our group traveled to rural Rajahmundry, in the state of Andhra Pradesh, to meet some pretty amazing kids. They were beautiful. They are the reason for this campaign. Our goal is to raise funds to send back to the orphanage to use toward general upkeep and day-to-day expenses that may occur for them. In addition, if we raise enough money, these funds also have the potential to help fund a large-scale project for the orphange, such as the creation of a music room on the premisis. While we experienced quite the language barrier (many of the children did not speak English, and none of us spoke Telugu!) we found a successful way of communicating with one another: through music. There were exhuberant dance parties (excellent exercise!) and songs sung for one another. We believe that the presense of music would bring joy to their lives. Our vision is to provide the kids with something above and beyond the basics; something that will enrich their lives, help them build skills, and soothe their souls. Please watch the video to learn more about the kids and the journey that led us to them. If you feel like helping us make a difference, your contribution will go toward the enrichment of these kids' lives, in the order of their most urgent needs being met first, and buidling our way up to the next level of support, which is to not only make sure they're healthy, but to give them musical skills and appreciation that they can carry with them their entire lives. Check out this video of our travels! Thank you to everyone for a donation! A beautiful mission. Thank you for doing what you do.